Wherever you are in your business evolution cycle, we can infuse just the right management competencies into your organization. 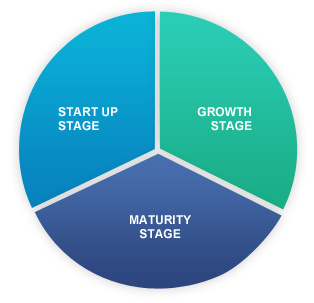 We enable you to identify the area in which your business needs strengthening and systematic development, and then provide the means to accomplish this. 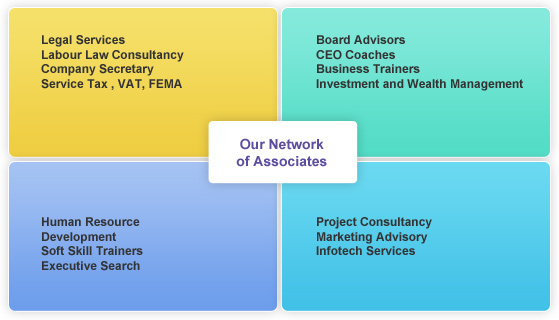 Our Associate networks help you in various business areas - be it operational efficiency, business performance, wealth management, taxation or employee proficiency. All our associates are subject matter experts in their respective areas. For example, if your firm does not have an HR Manager or a marketing strategy in place, we can help you bridge that gap, so that your business benefits.